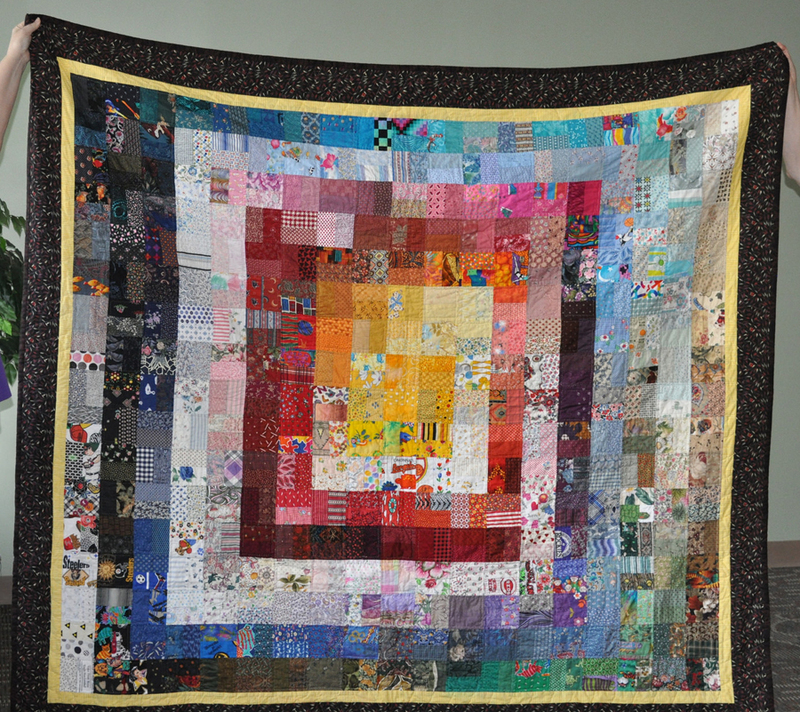 Welcome to our new space! The meeting room has great windows, nice light and lots of electrical outlets. 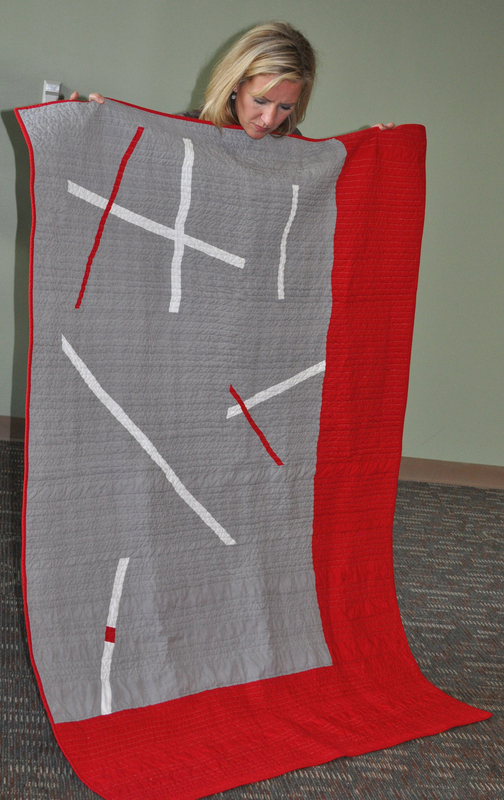 The Convent was wonderful in getting us set up in the space, and a special thank you to Sister Anne for guiding our members to the room. Reminder: New people are invited to come to two meetings to check out the group and see if it's a good fit for you. 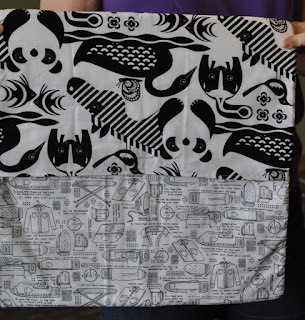 On your third visit, we ask you to join the guild. 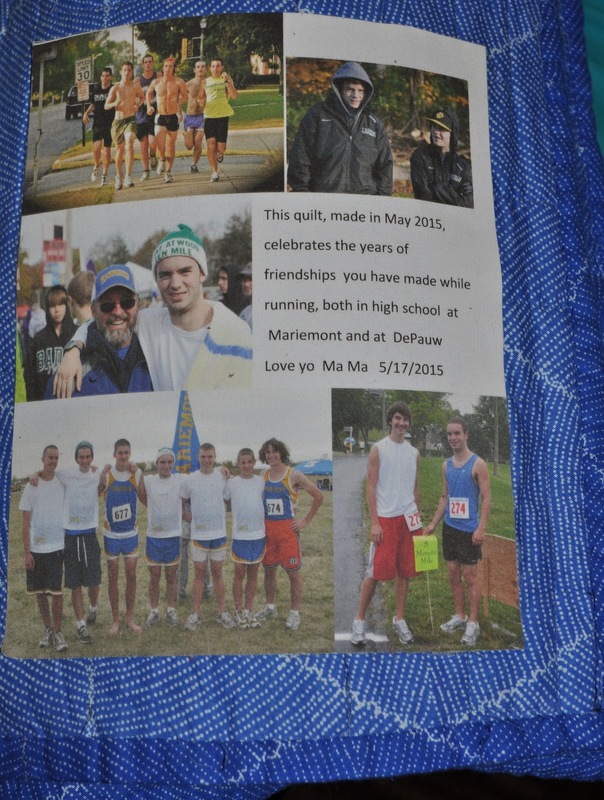 Dues are $40. 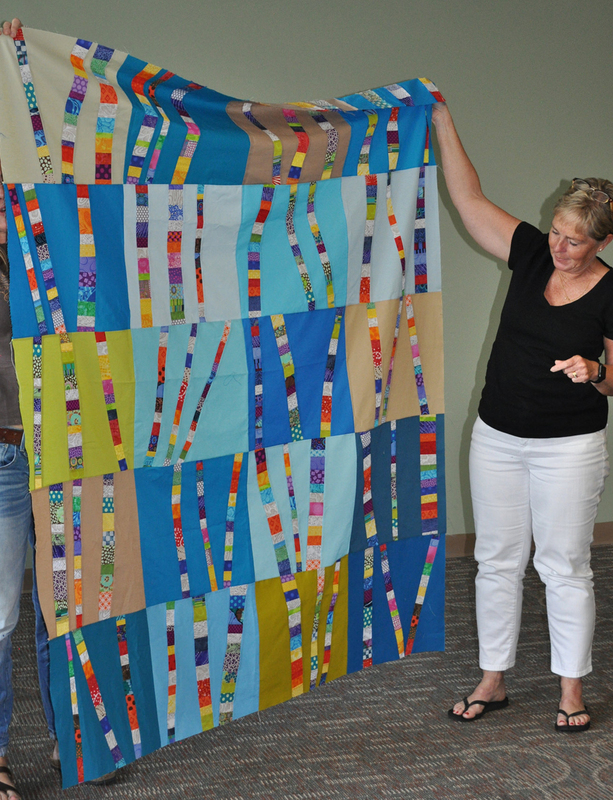 Charity Update: At a recent sew-in, Ellen and Shona put together this quilt top for our current charity, the Children's Home of Northern Kentucky. Janine has volunteered to quilt it. 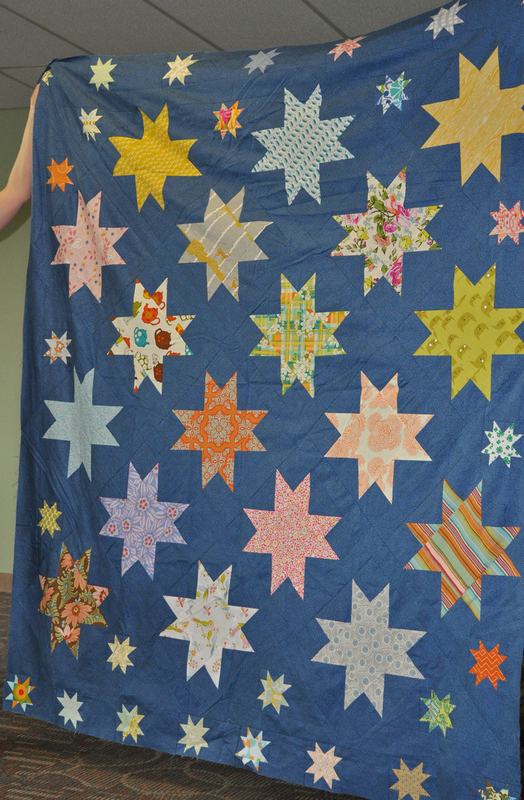 Ellen will be contacting Senior Services of Butler County to see if they might be interested in receiving quilts from us. The Modern Quilt Guild is sponsoring a charity project for Quilt Con. 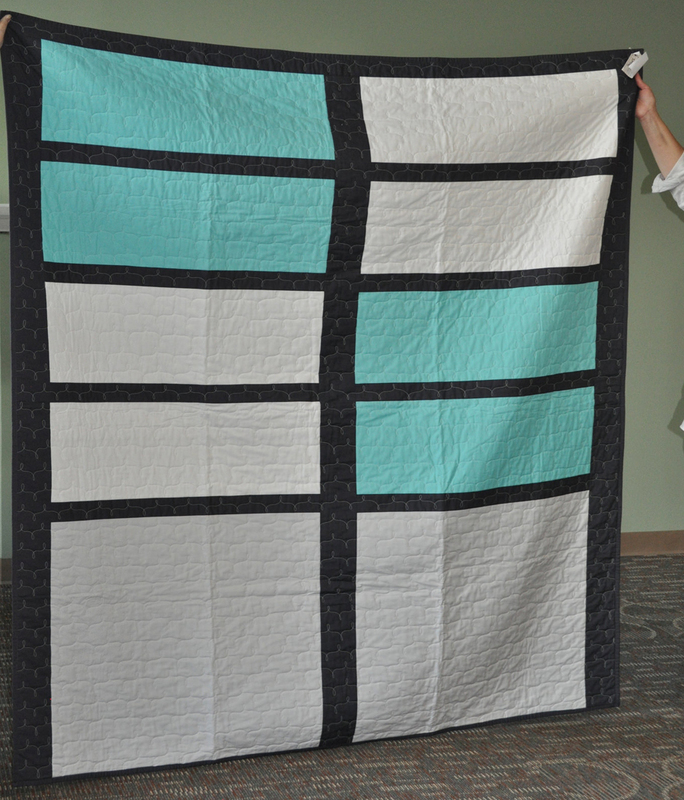 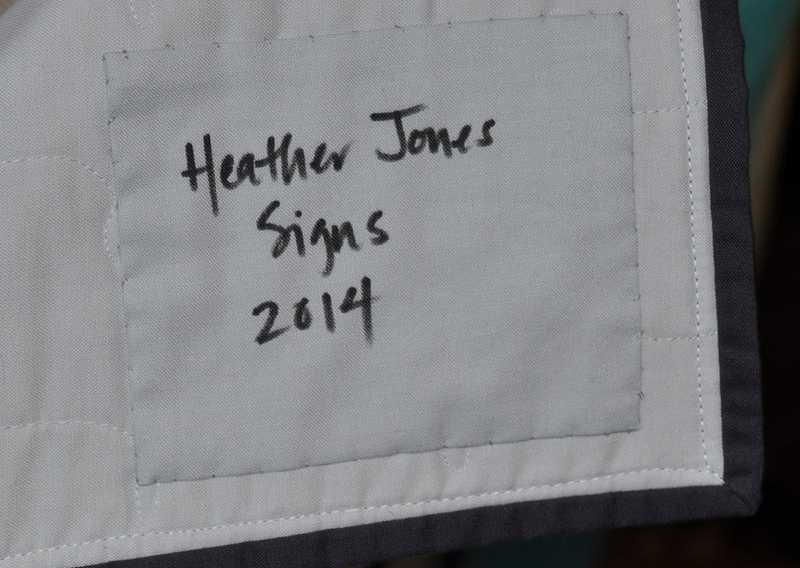 Members or guilds can sign up to create a quilt in the theme Improv with Intent. 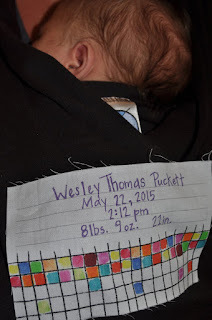 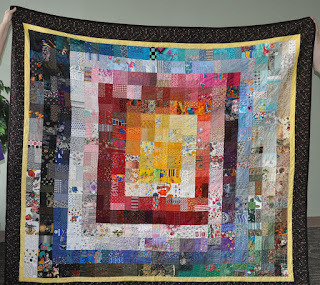 Quilts must be twin size and are due February 3, 2016. 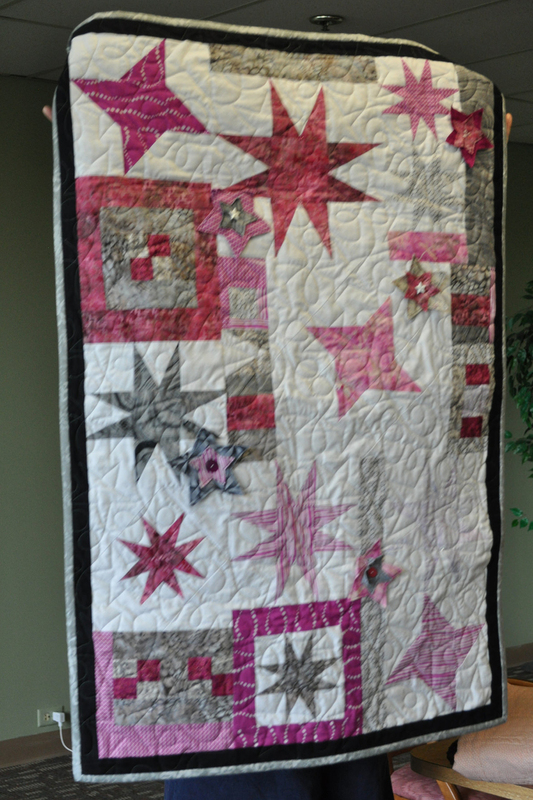 After the show, the quilts will be donated to a charity of our choice. 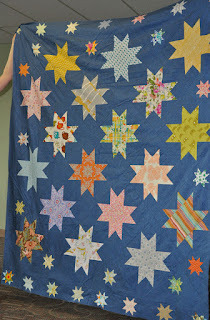 We'll vote at the July meeting to see if we're interested in participating as a guild. 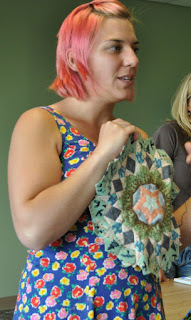 Betsy Travel Bag Class: This class will be held on Saturday, July 25. 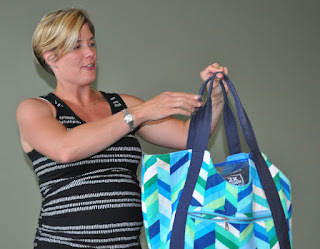 The bag designer, Kristi McDonough, will be guiding us through the making of the bag. 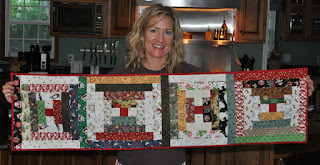 The cost is $10 for members and includes the pattern and the class; cost is $50 for non members. Hardware kits for the bag are available for about $30. 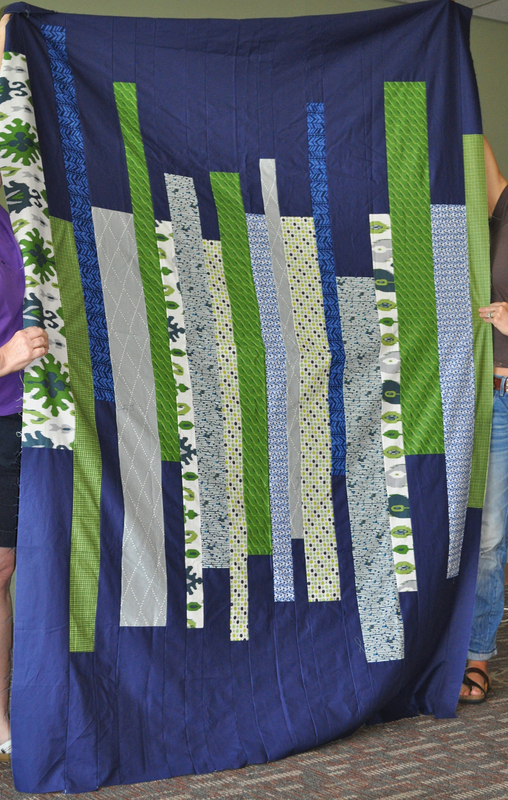 Contact Michelle at cincinnatimodernquiltguild@gmail.com if you're interested in participating. July Meeting: Wednesday, July 8, 7pm, at St. Clare's Convent. 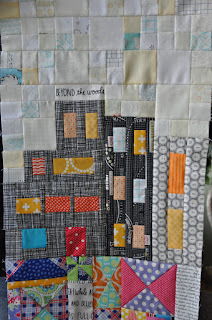 Bring your magic binding education challenge (see below), your Round Robin blocks, and your latest modern projects for show and tell. In the education segment, Ellen will be teaching us all about quilt sleeves. 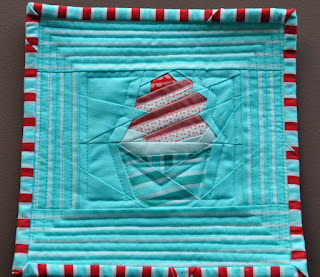 Amy's Small World block as part of an Instagram challenge. 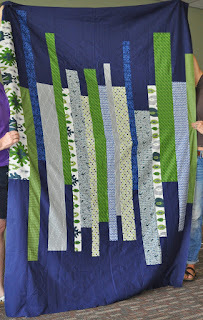 Ann's slice and insert quilt using the Birch Trees pattern. Carrie's third or fourth millefiori hand-pieced block. 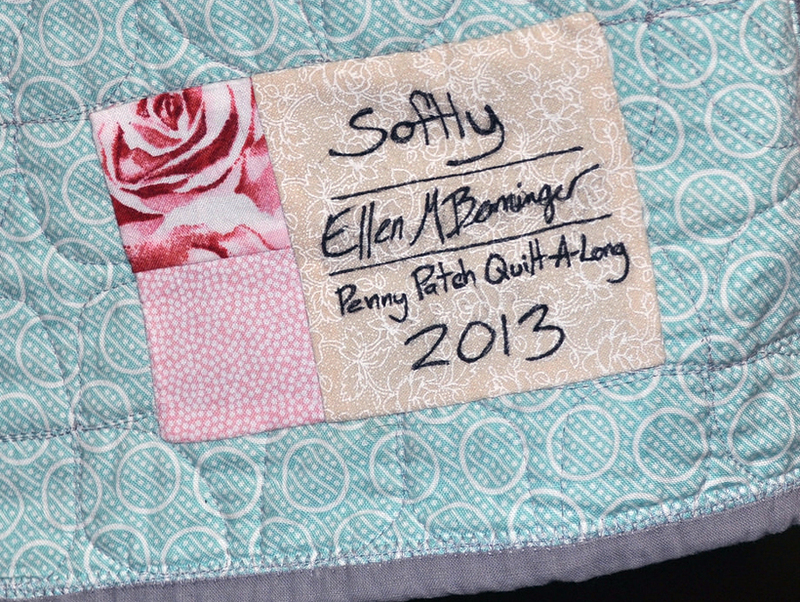 Dorothy's charm quilt, which uses 646 different fabrics. 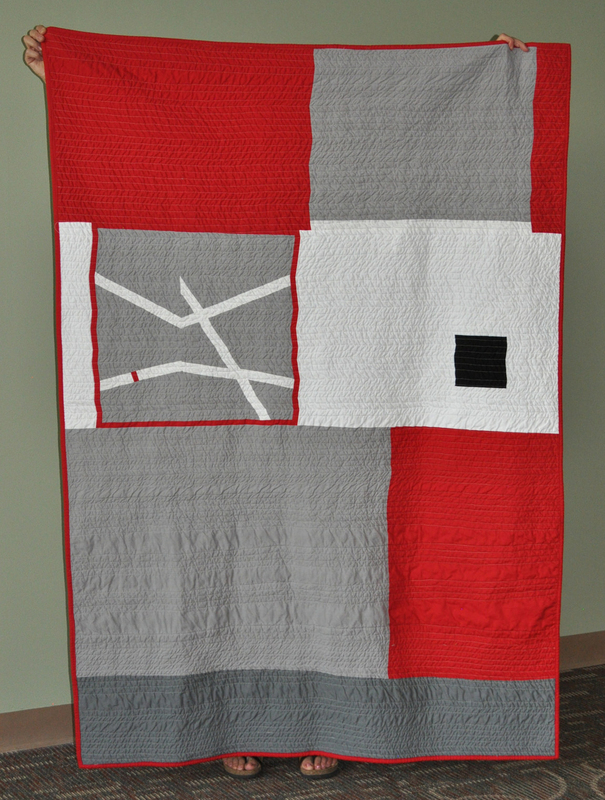 Dorothy made this quilt to hang in the cubicle at her new job. 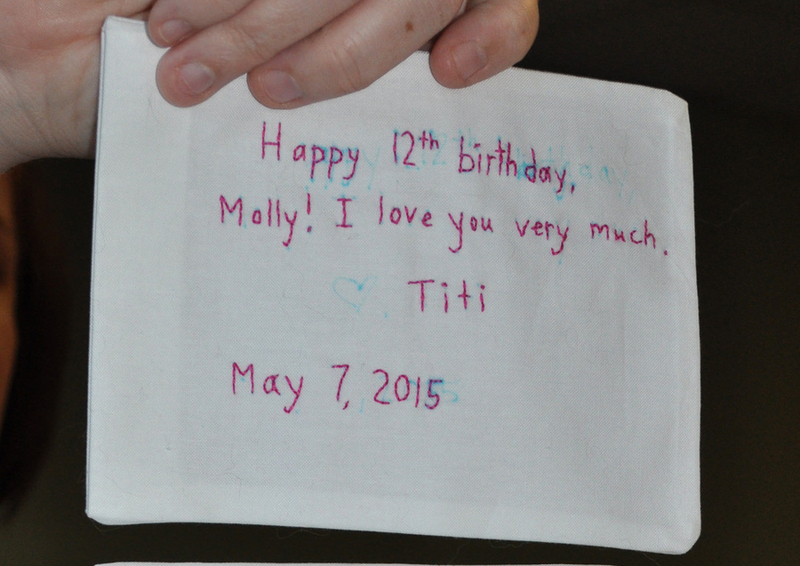 See the details below. 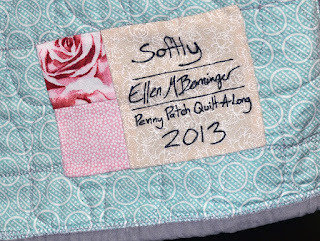 Ellen received this piece in a swap from Cath at Wombat Quilts. See the back of the piece below. 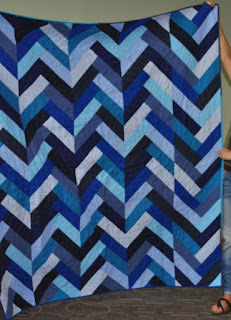 Gillian made this curved piecing block. 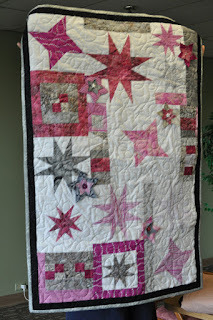 One of Heather's latest quilts. 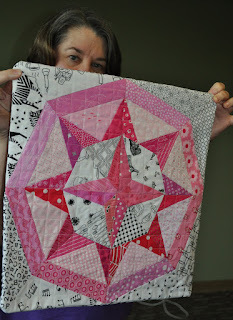 Janine's quilt for the latest Modern Quilt Guild fabric challenge. 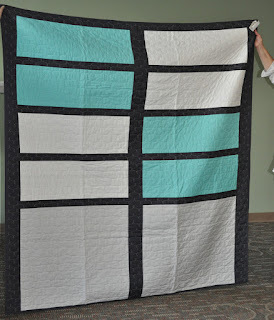 Michelle's quilt for her husband. 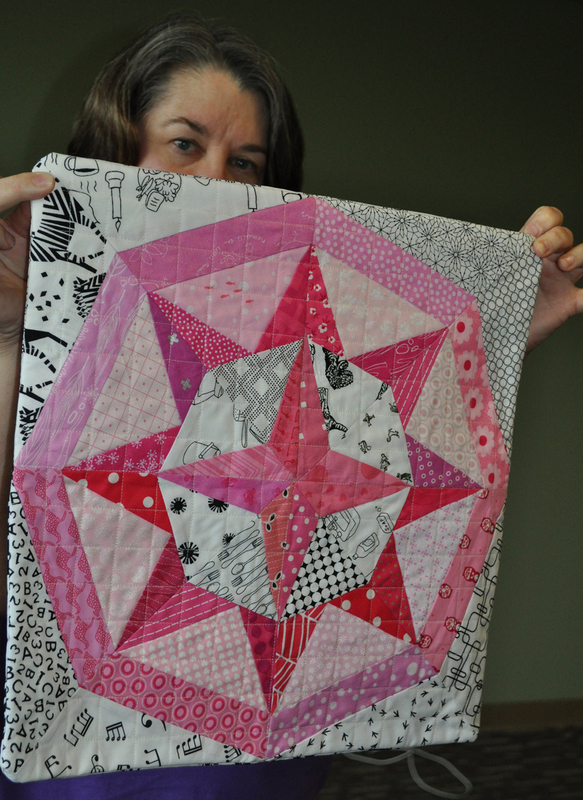 Michelle slice and insert quilt. See the back below. 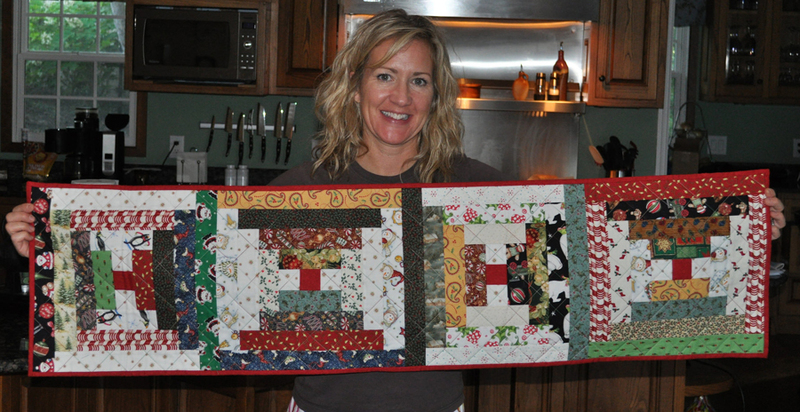 A table runner made by her uncle, a retired engineer and husband of a quilter. 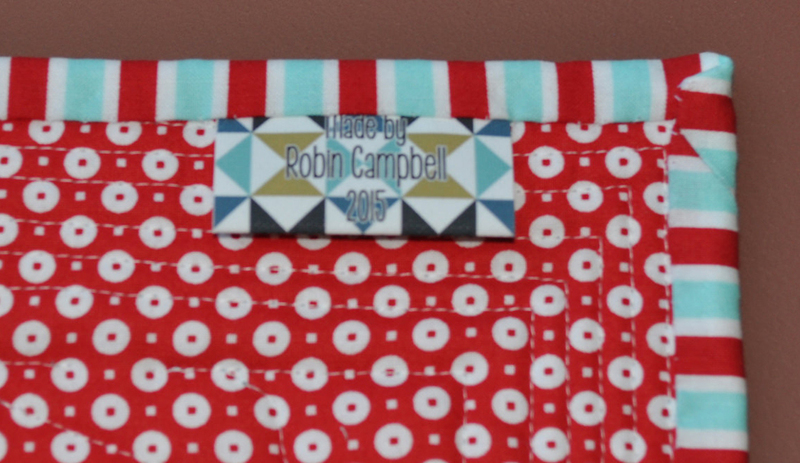 The back of the table runner including a nice, big label. Robin's paper-pieced mug rug made with fabric scraps. 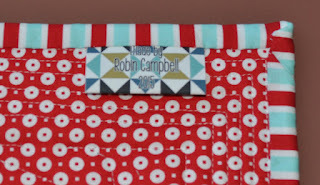 Robin's Poolside Tote from Noodlehead. 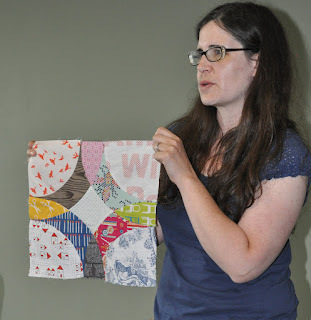 At last month's meeting, Christine spoke about quilt labels. 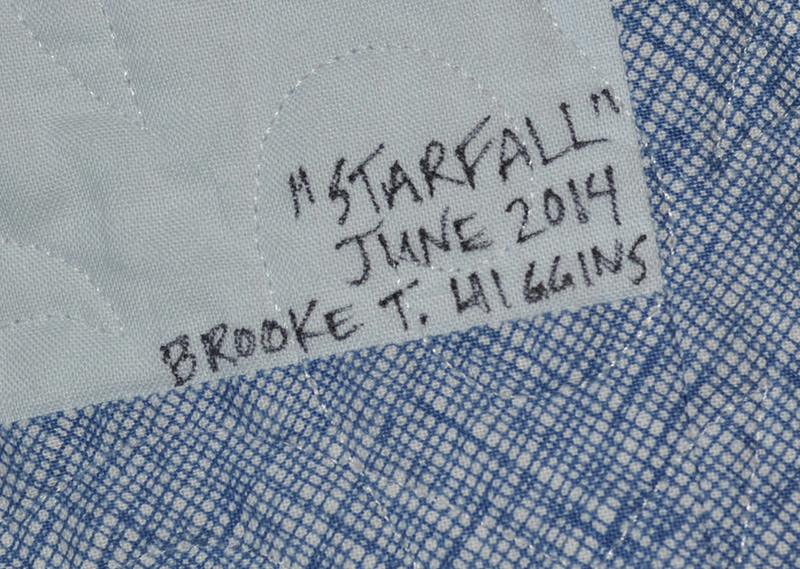 Here are the labels members brought to show off their label know-how. 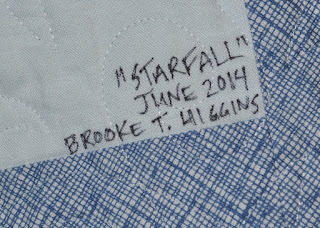 In record time, Brooke presented an education segment on the magic binding technique. 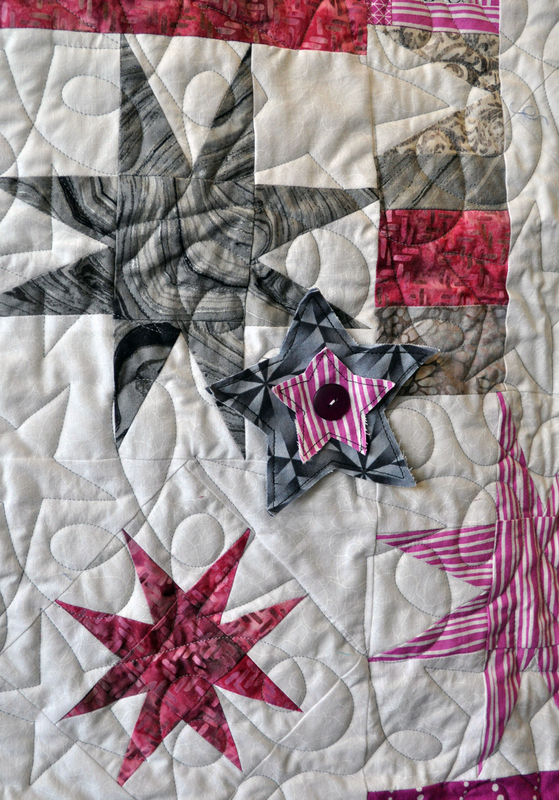 The magic binding is a two-piece binding that results in a flange of the secondary color on the front of the quilt. Cut the main binding fabric to 1.5" and the accent binding fabric to 1.75". 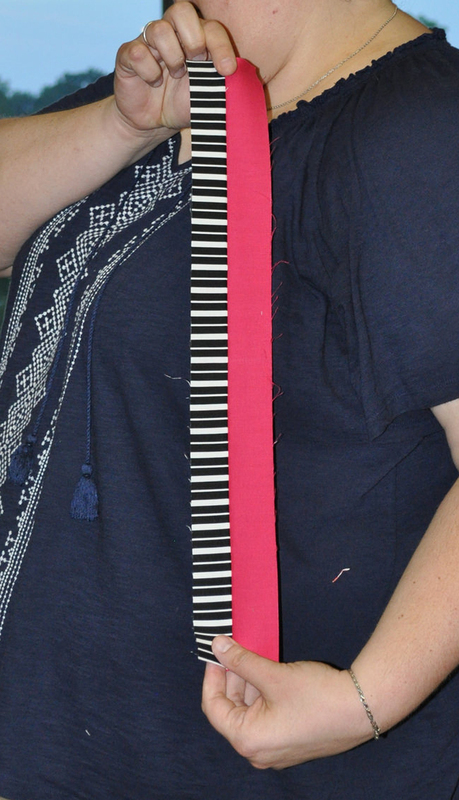 Sew together and press the seam toward the main fabric. 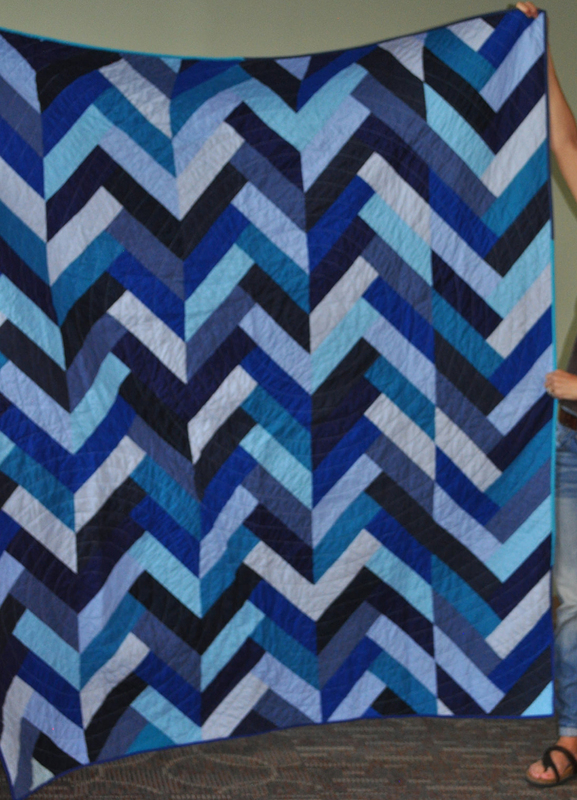 Fold with raw edges together. Note the little touch of pink on the front binding side. 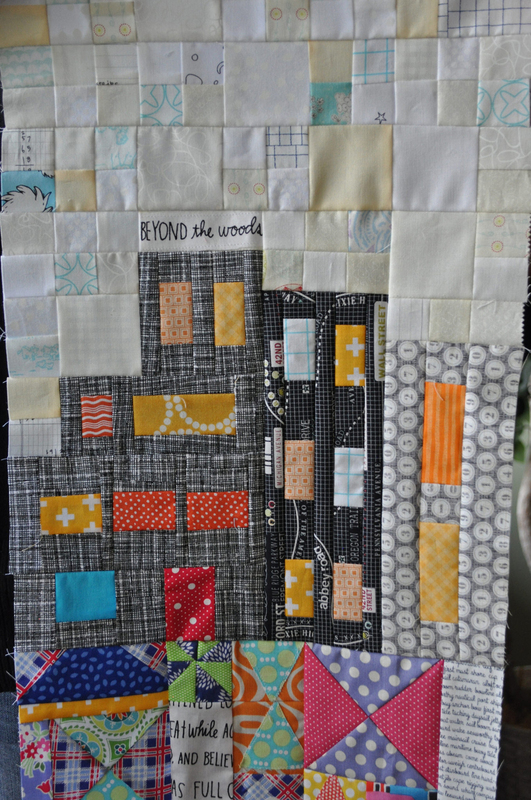 Attach the binding to the back of your quilt with the accent color facing up. 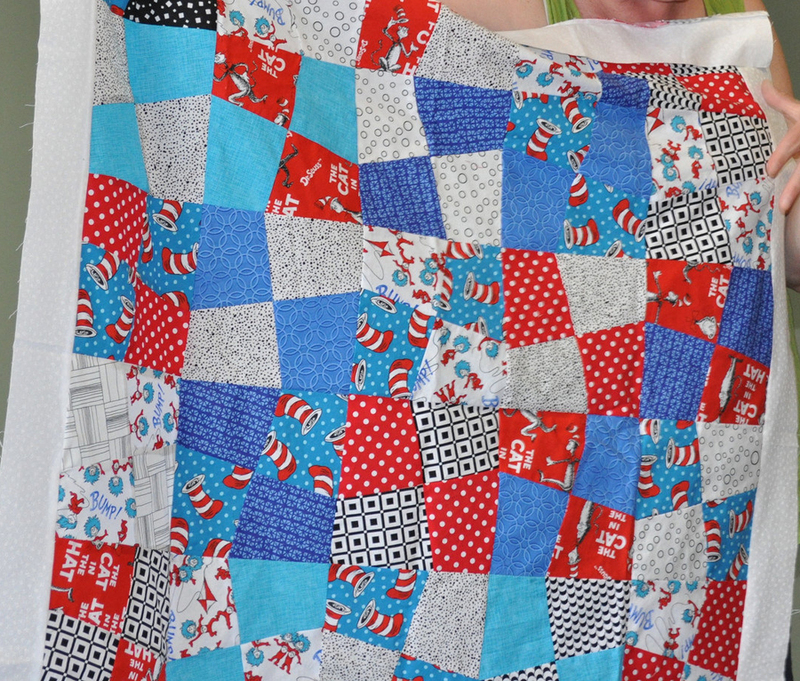 Wrap to the front of the quilt and attach by sewing by machine between the seam of the main binding fabric and the colored flange. 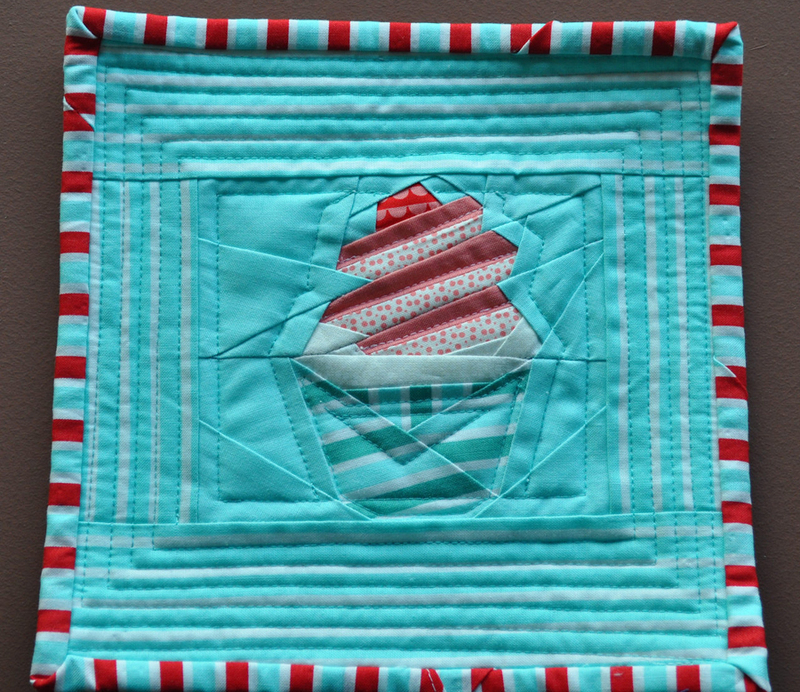 Click here for the full tutorial from Aunt Marti's 52 Quilts. 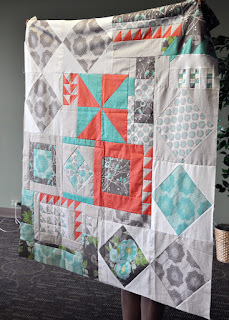 Try this technique yourself then bring your project to the July meeting for a chance to win a prize!